The Porch's beignets and I go back a long way. The swine-shaped, deep-fried dough taught me the true meaning of "oral pleasure." 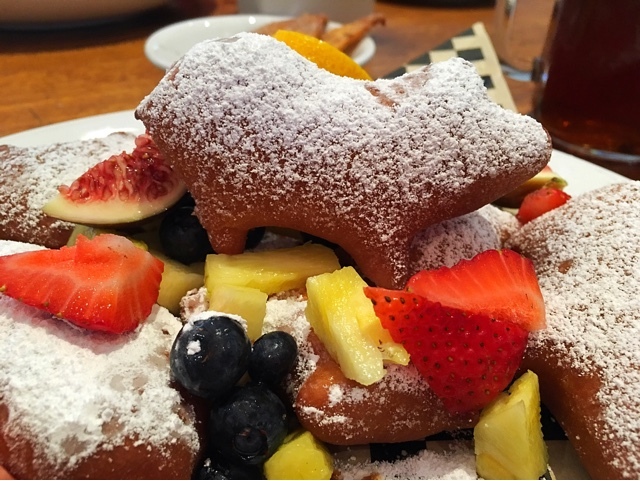 Served with fresh fruits, a sinful amount of powdered sugar and a side of fig jam, they emboldened me to live life to the fullest, one beignet at a time. My affinity for them in the past couple years had remained strong and steady.......until last month. I was having brunch there with my ex-coworker, an older gentleman whom I'd always admired and looked up to as a father figure (and still do). Three beignets into our conversation, he announced he was going to vote for Trump. "Seriously?" said I, astounded. I listened to his reasoning calmly, respectfully, even though I was inconsolably crying inside. No amount of beignets could ever comfort me. I'd always known he was a republican, and that was fine. Our different ideologies had never hindered our friendship. But Trump? TRUMP? For a little while, we exchanged our conflicting opinions. But then, knowing that no matter what I said or how I said it could ever change his mind, I diverted the subject. We went on to discuss his upcoming road trip, his daughter's exorbitant mortgage, and the incredible flavor of my fig jam. We didn't fight. No beignets were hatefully thrown across the table. We parted peacefully and agreed to meet again after his road trip. But still, it felt like that eye-opening moment when a child realizes their superhero dad is just a mere human after all. Also, it's quite true that a traumatic event can leave a long-lasting imprint on our minds and affect how we experience certain realities. Because of this incident, next time I eat those cute piggy beignets, they'll probably taste kind of bitter. "What you doing here?" Kenny, the tea master, facetiously probed as I sat down at his tea bar alongside other customers. "Oh, just.....joining you guys," I answered. "Reason?" he asked, chuckled, and said to the crowd, "People usually come here for no reasons." 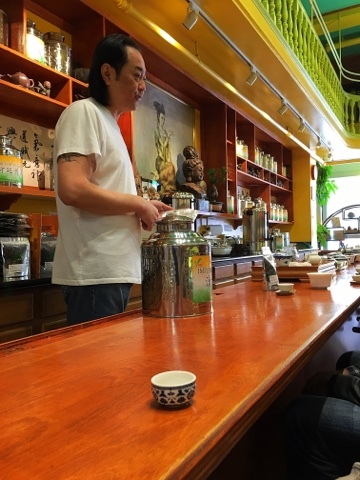 He continued on with his tea-tasting ceremony, meticulously brewing "silver needle" tea and describing its medicinal benefits. "You know what Teavana is? The Panda Express of tea shops," Kenny slighted Starbucks' sister company, as he poured for tea-curious spectators. "What does strawberry tea taste like?" an audience member asked, pointing at one of the gigantic tea jars behind us. "What does STRAWBERRY tea taste like?" the tea master pensively repeated, and in the same breath, wisecracked back, "Coconut!" That's how my tea tasting experience went. When people hear the term "tea tasting," they might often think of the solemn Japanese tea ceremony or the sophisticated English high tea involving delicate pastries and a long sheet of etiquette rules. At Kenny's tea house, it was more like hanging out at a comedy club, watching an insult comic unleashing his sardonic tongue while ever so gently pouring you tea. At one point, he even pulled a prank on a tea-tasting participant who briefly left her phone at the bar and went to browse for tea sets. He hid the phone behind his water boiler, letting us onlookers witness it with utter amazement. The victimized lady, of course, went into a panic mode when she realized her phone was gone. But before long, the stealthy tea man returned her property with a little grin, saying, "Lesson learned, never leave your belongings unguarded." Needless to say not everyone would find his buffonery amusing. Some people scurried out of the shop halfway through and I couldn't blame them. How long did I stay? Over an hour. I would have left sooner if sarcasm and practical jokes were all Kenny had to offer. But as borderline inappropriate as his sense of humor is, the man really knows his teas. The tea tasting is completely free. He doesn't pressure customers to buy. And if he likes you (he did seem to like me! 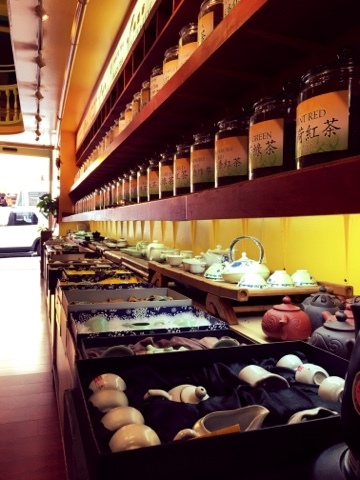 ), you might get some complimentary tea to take home (he gave me a bagful of Imperial Yellow). In case you don't have time to sit and sip, just opt for "Happy Ending" tea. What is it? Well, in Kenny's own words, "it's when you come in, order some tea, pay the money, and get the heck out!" As if the title doesn't already declare its specialty loud and clear, the restaurant's interior also boasts nautical-themed wall decor along with whimsical surfboard tables. What's more, each table comes with a built-in fin about six inches tall, evoking the dining-with-Jaws kind of feeling. Healthy eating has been a longstanding trend among Sacramentan urbanites, and Coconut's Fish Cafe cleverly responds to the craze with their fish-oriented menu featuring some of Hawaiian favorites: ahi, wahoo and mahi mahi. 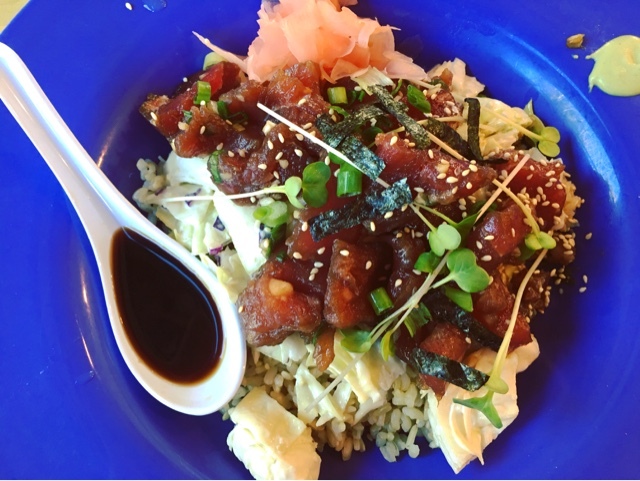 The Hawaiian poke bowl--mainly composed of raw ahi, brown rice and coleslaw--is chock-full of delight, served with a special instruction. 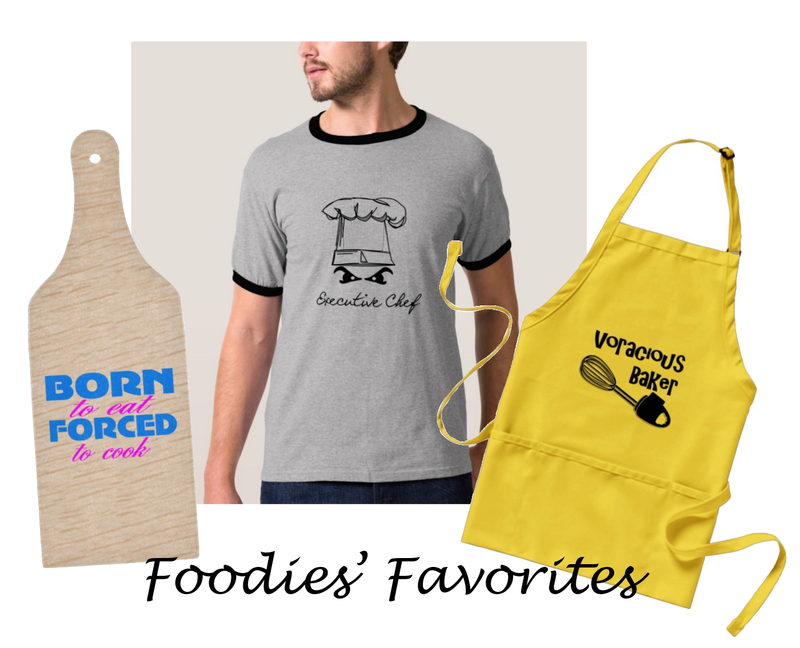 As it contains complex layers of multiple ingredients, one must stir everything together thoroughly in order to get an impeccable bite, says the waitress, emphasizing the word "must," as though an omission to do so would render the dish a wretched debacle. The grilled ono (aka wahoo) comes with six seasoning options: lemon butter, blackened, Cajun, Asian flair, South of the Border, or just butter with pepper and salt. 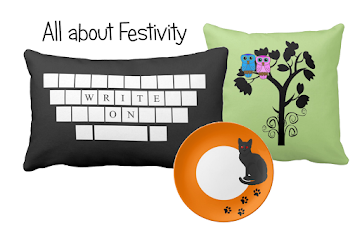 No need to spend too much time choosing, though. With fresh high-quality fish, nothing can go wrong. 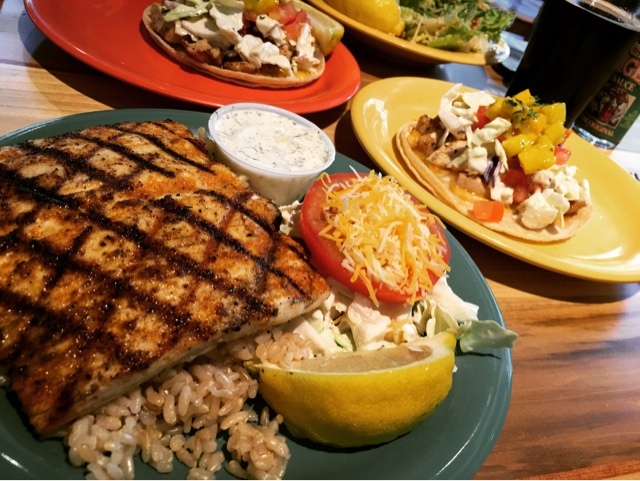 The mahi mahi tacos, although invigoratingly tasty, might pose a challenge to some. Made with seventeen ingredients, lavishly piled on top of medium-size corn tortillas, it's hard to hold in one's hands without letting chunks of fish or mango slip out. And yet, again, the waitress earnestly recommends, "Try to get EVERYTHING in one bite." Not an impossible task (for the average adult's mouth).......but kind of verging on public indecency. And of course, the meal wouldn't be complete without some good drinks. The pineapple cider goes harmoniously with pretty much everything on the menu. The real must-try, though, is the Coconut Porter, a Hawaiian malty beer with a heavy hint of espresso and a whisper of toasted coconut. What about non-fish stuff? Yes, salads, chicken tacos, steak tacos, burgers, and even hot dogs are also available. But why? Why would you go to this fabulous fish cafe and order humdrum chicken?